The Panasonic HS-50 provide Efficiency and Quality on the Performance in a compact size. 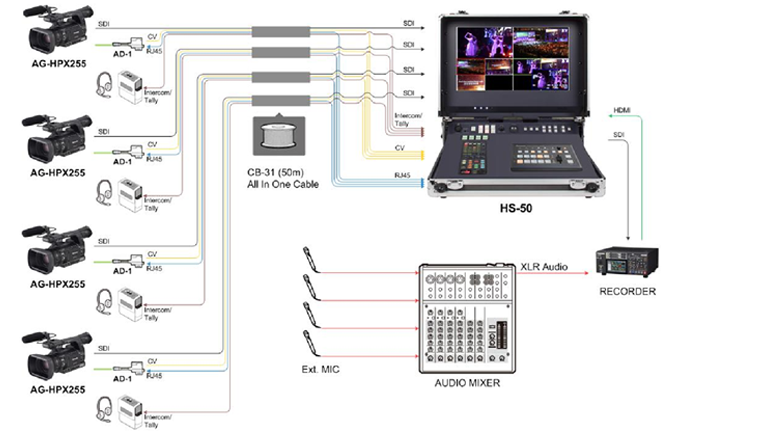 HS-50 designed for Broadcast On the Go with Accuracy and Precision.HS-50 is a complete mobile broadcast system with fly away kit for mainly outdoor broadcast. HS-50 facilities for video, events and more. You can switch and high quality digital content on the go while you control the camera in various conditions. 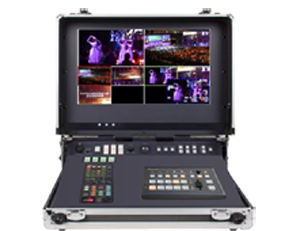 The HS-50 has built-in 17.3 inch LCD monitor . so, you can see the high quality monitoring for each source. In a multi-view monitor you can select any source to display full screen mode. The OSD information for accurate and fine tuning.